Place the coconut cream into a large, deep frypan. Add the garlic, lime juice, fish sauce and brown sugar, and place the pan over medium heat. Once beginning to boil, add the flathead fillets and turn the heat to low. Cover, and simmer for 3 minutes. Turn the flathead and add the bok choy to the pan. Cover, and cook for another 3 minutes. Remove from the heat. 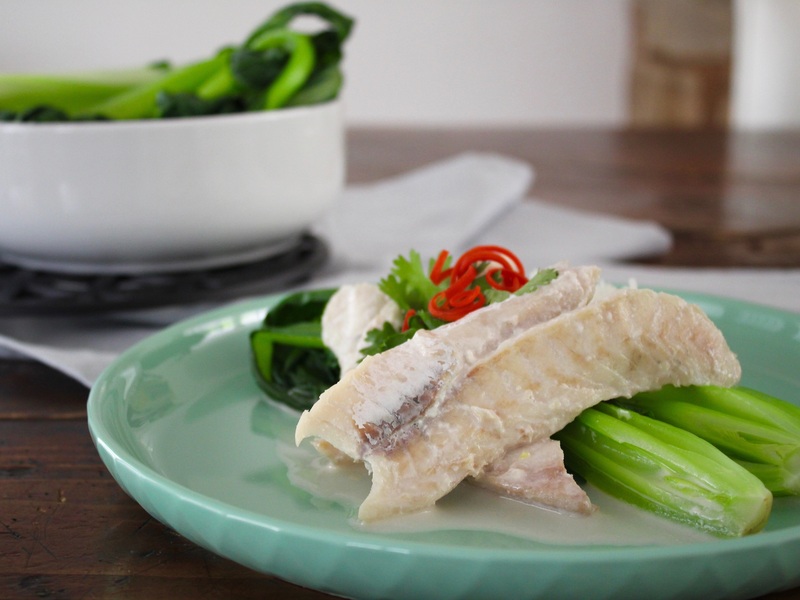 Add the steamed rice to 4 plates, and top with poached flathead, bok choy and coriander to serve.